Is McDonald’s Corporation (MCD) Planning To Introduce McBrunch To Its Menu? 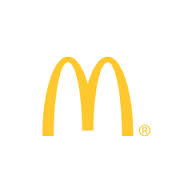 McDonald’s Corporation (NYSE:MCD) has been facing numerous challenges in the market due to new entries and spiced-up menus in the fast-food industry. The company has therefore been looking for new ways to attract more customers into its restaurants. BurgerBusiness.com indicated that McDonald’s Corporation (NYSE:MCD) has filed “McBrunch” for trademark registration, something that smacks of a smart move to recapture the market. Nothing is clear yet on what the multinational company intends to do with the name. However, many believe that it’s part of a strategy by the company to bring in something more exciting to its menu to help it revive its fast fading glory. Several fast foods, including Burger King, Taco Bell, and Chick-Fil-A have introduced a lot of unique delicacies to their breakfast menus. Such trends have made it difficult for McDonald’s Corporation (NYSE:MCD) to register steady market growth, and it’s believed that McBrunch could be one way to reposition itself for growth. McBrunch had in 2001 been filed for federal trademark registration, but that never saw the light of day as it was later abandoned. Even though many companies file names and abandon them, it’s believed that McDonald’s might really want to do something with the name in order to improve its sales. The company registered a 2.8% same-store sales decline in August, which is lower than the 2% predicted by financial and market analysts. Even if McDonald’s introduces a brunch menu, it’s still going to be a challenge, just like it’s been for other fast food chains. It’s a challenge getting the right mix of meals that will serve both as breakfast and lunch. However, at this juncture, for McDonald’s, it’s better to do something than nothing at all.